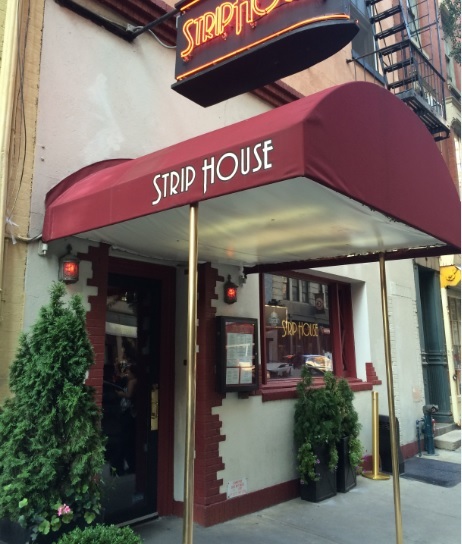 Strip House Steakhouse is considered as one of the very best steakhouses of New York by the big majority of the city’s most serious steakhouse connoisseurs, some of them even considering the steaks more flavorful at Strip House than at the legendary Peter Luger. 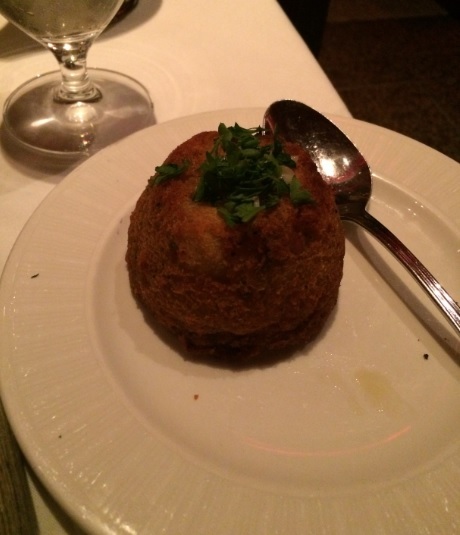 It would be a nonsense to eat an average piece of steak in the Mecca of North American style steakhouses, New York, so I did a lot of searches and Strip House ended up ranking high on my list of steakhouses to try in New York. Ice cream and sorbet were good, coffee (Rwanda single origin) was watery and not as flavorful as its enticing description (Silky body, lemon acidity, notes of pineapple and dark chocolate) may suggest. Cons: No serious quibble to raise, but as a diner you need to know that they have wet aged as well as dry aged cuts. If, like me, your ideal North American style steak is a 40 days expertly dry aged bone in 2″ inch thick 20 oz cut, then their 20 oz bone in rib eye is not what you are looking for. 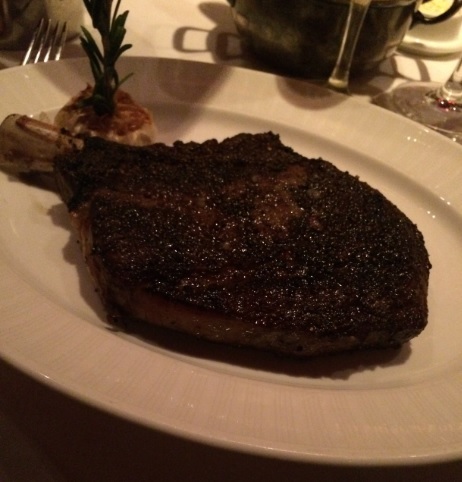 But they have other steaks that are dry aged such as the 14oz rib eye, 14oz new york strip, porterhouse for two. 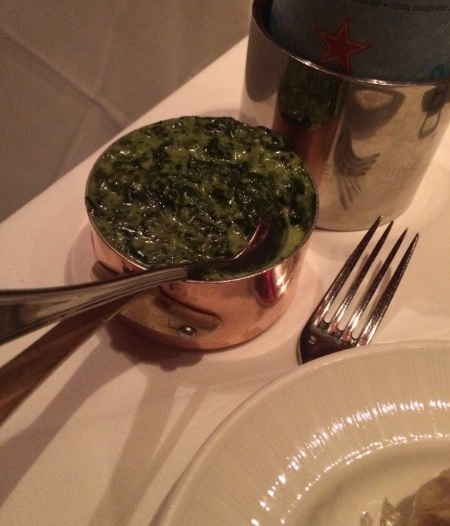 Bottom line: a service and an overall dining experience that far surpassed what I have experienced at Peter Luger and Wolfgang. However, they need to fix the issue of the watery coffee. It is easy to make great coffee, so no excuse there. On the topic of the food, I was not blown away. True. But it would be accurate to underline that no wet aged steak has ever impressed me, so, obviously, just a matter of personal taste. 6/10 as an overall rating for the sides (fine sides, though a tad less impressive than at Wolfgang, for the sake of comparison). 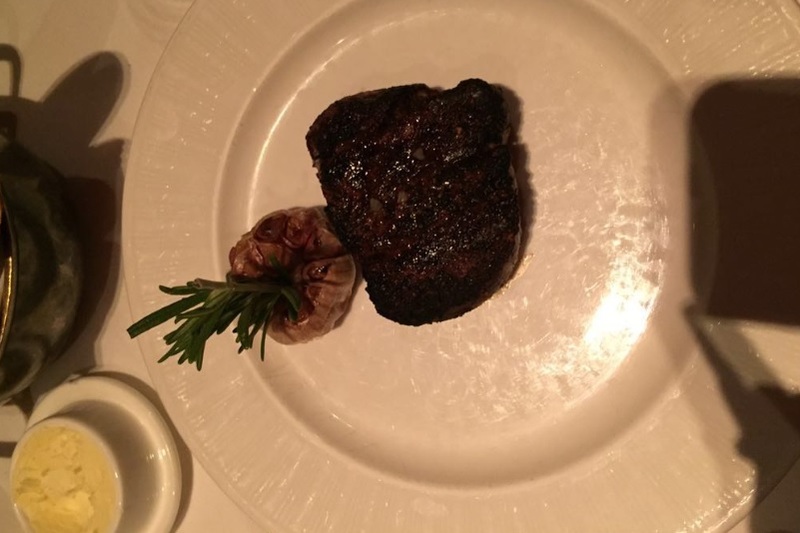 I won’t rate the steak – it was a perfectly well executed steak of the wet aged sort, but wet aged steaks are not my cup of tea. 10/10 for the service and overall dining experience.